Job searching has become a bit of a challenge in today's uncertain economic climate. If a lucky job seeker finds a job in this recession, he may have to ask himself if he'll still be employed in six months to a year. However, Kiplinger magazine found five "recession-proof" industries that will assuage job seekers' fears. In addition to providing job security, these industries are a perfect fit for veterans and allow them to apply many of the skills obtained in the military to the civilian workforce. 1. Health Care. An increasingly aging population fuels demand in this field. And these careers should stay in demand for years to come. Some specific jobs with stable prospects include nurse, physical therapist and physician assistant. 2. Education. Grade-school teachers who specialize in high-demand fields such as math, science or bilingual education should have an easier time finding and keeping a job. 3. Security. Crime doesn't stop in a recession. That makes jobs, such as police officers, detectives, private security guards and international security experts a good bet. In the off chance that a police officer is layed-off or loses his job, he'll be able to find a job easily because demand in high. 4. Environmental Sciences (Green Collar Jobs). The green collar industry has become an ideal career choice for job seekers. The BLS expects environmental careers including ecologists, hydrologists, environmental chemists and others, to grow to 25 percent over the next decade, reports Kiplinger. 5. Government. Regardless of the job market and economic situation, the federal government must press on. In fact, due to an aging workforce, the government is hiring a lot lately. There are a lot of job opportunities for job seekers in their 20s in the federal government, and there are several openings across a broad range of fields. 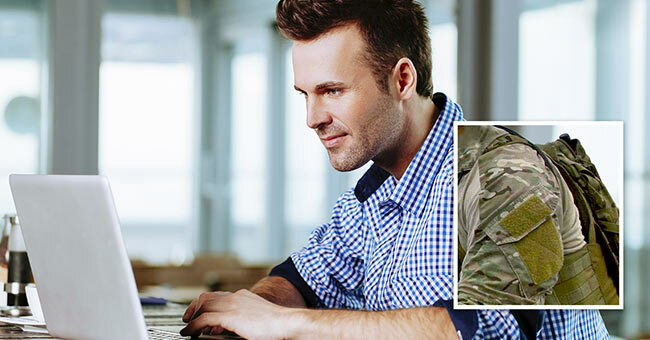 Veterans that seek employment in any of these industries can use Military.com's Veterans Career Network to find other former servicemembers who can advise or connect them to jobs in these fields. Additionally, check Military.com's Veterans Job Board for careers in fields such as health care or security.